This floor plan is open and spacious allowing easy flow from room to room. 3 bedrooms, 2 full baths with 2.5 car garage. Spacious Great Rm, dining area and Kit. The Kit has lots of cabinets and easy working space, the dining area opens to the patio, the Master is spacious w/ private bath and big walk-in closet. Split bdrms giving privacy between the 2 bdrms and MBR. Access the laundry/mud room from the garage making it easy to remove shoes before entering your new home. Boulders Of Mallard Lake is a subdivision within the city of Shepherdsville, Kentucky. There are currently 2 Homes for Sale within Boulders Of Mallard Lake, with asking prices ranging from $184,900 to $228,800. The average list price per square foot of the available inventory in Boulders Of Mallard Lake is $136, which is below the Shepherdsville average of $138. The Average Sales price of all sold real estate in this subdivision for the past year is $196,370. Recent comparable homes have been selling for 99.58% of their asking price. Waterfront homes represent 0.00% of the available Boulders Of Mallard Lake inventory. The total number of households in the zip code of Boulders Of Mallard Lake is 12,085, with an average household size for of 2.69 people. The total number of renter households within the zip code of 40165 is 2,560, which means that 78.82% of households in this zipcode are owner occupant households. 124 Reserves Blvd, Shepherdsville KY 40165 is a Home, with 3 bedrooms which is recently sold, it has 1,277 sqft, 0 sized lot, and 2 Car Garage parking. A comparable Home, has 3 bedrooms and 2.5 baths, it was built in and is located at 119 Boulders West Dr Shepherdsville KY 40165 and for sale by its owner at $ 184,900. 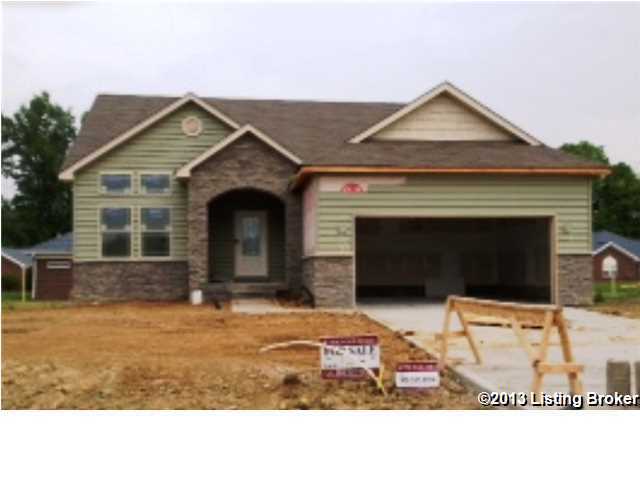 This home is located in the city of Shepherdsville , in zip code 40165, this Bullitt County Home, it is in the BOULDERS OF MALLARD LAKE Subdivision, and HEBRON ESTATES are nearby neighborhoods.